Girls don’t just run the world these days, we’re running all over it and doing it together! Women make up nearly two thirds of travelers, and 39% of us have girls’ getaways in the pipeline. 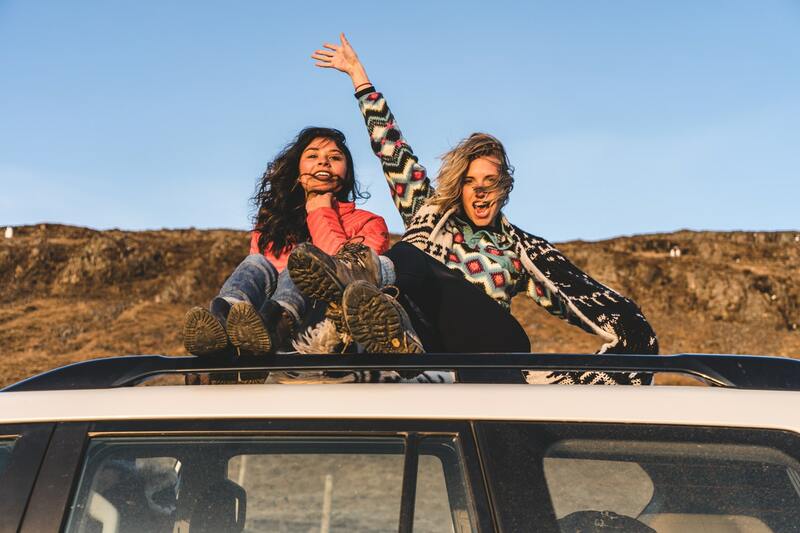 Yet as budgets and vacation days tighten, jetting off to fabulous locales with all your besties on the holiday of a lifetime can feel like nothing more than a fantasy – and that’s why there’s never been a better time to take a road trip. Making up well over a third of American ‘stay-cations’, the classic driving adventure removes the hassle of airport lines, puts all the control in your hands, and is the perfect way to see all the ridiculously vibrant landscapes and cultures our very own 50 States have to offer. Taking to the black top on your next girls’ getaway is also ideal for maximizing quality bonding time, and can prove to be so much more meaningful and memorable than any overseas resort. All of us have had that daydream of just getting in the car and seeing where the road takes you. In the real world though, knowing where you’re going is key as it both gives you structure and room for spontaneity. There are plenty of splendid places for weekend getaways, and bracketing your road trip around a weekend destination not only maximizes your vacation time but provides opportunity for that resort-style relaxation or big city partying you and your girls may be craving. The sheer number of amazing attractions, sights, and lookouts along American roads can also be incredibly daunting, so having a destination in mind also narrows your parameters and minimises disheartening detours. On road trips, the journey itself can be its own destination, so it’s imperative you’ve got the right wheels. Britney may have done it in a convertible in the golden days of 2002, but these days, a popular road tripping vehicle is the pickup truck. Not only are they a little hardier and far safer, they’re very practical for driving adventures. Roomy cabs give you all the personal space and comfort you need, spacious truck beds provide superb storage (no bags on laps or straddling suitcases here), while their elevated height and panoramic views are perfect for ’gramming the journey. Last but certainly not least, pickups effectively let you go anywhere you please – whether there’s a road or not – making your adventure all but limitless. With these essentials sorted, all that’s left is to summon the squad, blast an epic soundtrack of sing-along classics, and you’re good to go to have the best girls’ getaway yet!